Fluid art tree art print from original painting!unique wall decor! This high quality modern Giclee Art Print “Mystical Tree” is a reproduction from my original acrylic pouring painting! 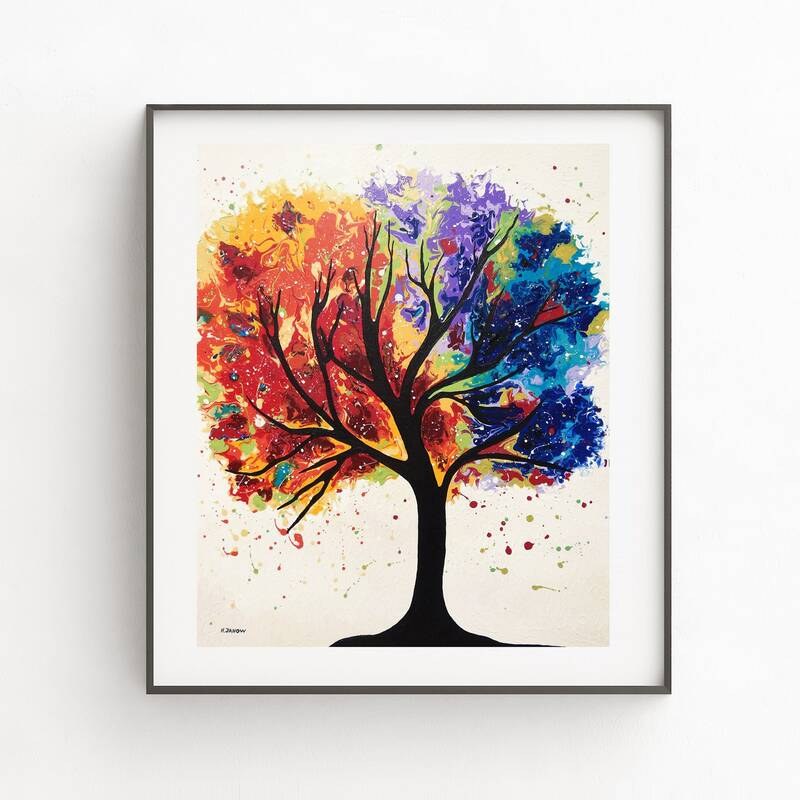 Beautiful rainbow of colorful hues of red, yellow, blue, purple and green really makes this art print pop! * Long lasting, fade resistant and smudge resistant! This print is printed by me in-house using Epson's archival ultrachrome pigmented inks, which are guaranteed not to fade for at least 100+ years under glass, on a 100% cotton rag, museum quality, acid-free, archival, bright white Velvet Fine Art Paper.